To my dad, the old days were either better or worse than the present, depending on the point he was trying to make. If he wanted me to appreciate all of the good things I had, he would emphasize how bad things were during the depression. If he wanted me to feel bad about the degradation of values, he would reflect on the community he shared with his neighbors at the homestead. He would reminisce on how he and his friends would swim and fish in the now polluted river. The lesson is that most anything may be either true or false, if the meaning or relevance of words can be changed to suit our purposes. For instance, there is some debate as to whether Buddhism is a religion or a philosophy. I guess if you are looking for tax-exempt status for Buddhist activities on religious grounds, you would argue that it is a religion. On the other hand if you wanted to distance your Buddhist worldview from the fundamental western religions view, you might argue that it is a philosophy. 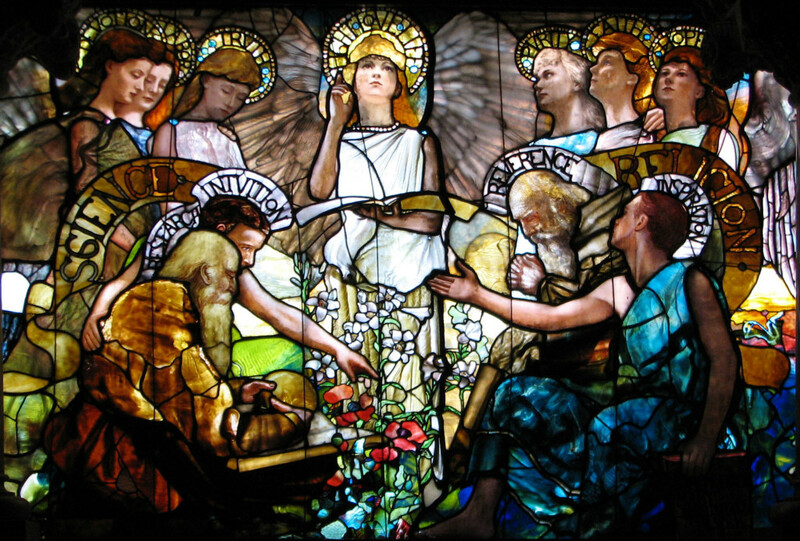 There has long been a debate over the relationship between science and religion. Is religion a science, or is science a religion? Arguments are made for both views. Both science and religion seek to explain the world using evidence and reason, and both, at times, require leaps of faith. But, the way evidence and reason are used in religion and science is very different, and so is the meaning of “belief”. We use “belief” in many ways: to express a desire (I believe I’ll have another piece of cake. ); to express and expectation (I believe it’s going to rain); to express a value (I believe in the sanctity of marriage, or I believe in equal rights for all); to express an intention (I believe I’ll take the day off). These are rather casual ways we use the word belief. More relevant to what I am talking about here are statements like: I believe the earth is round, or I believe the earth orbits the sun. These express the acceptance of some claim as true. I accept it to be true that the earth orbits the sun. An important distinction between religion and science regarding belief is that religion emphasizes what is believed, while science focuses on why things are believed. Sometimes two individuals may agree on what they believe, but one can hold the belief religiously and the other scientifically. The Greek philosopher Pythagoras held that the earth was round. Later on, so did Aristotle. However, Pythagoras’ belief was religiously held, based not on observed evidence, but based on his religious doctrine regarding the harmony of the universe. Aristotle’s belief in a round earth was based on several observations, including the recognition that the shadow of the earth on the moon during a lunar eclipse is always round. He also recognized that different stars are visible in the north than in the south. This is inconsistent with a flat earth. 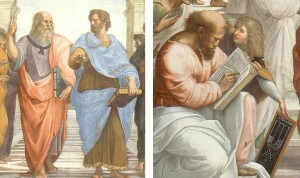 Pythagoras’ believed in a round earth religiously, Aristotle’s belief was a scientific hypothesis grounded in observable facts. Other times, two people can hold divergent beliefs, but they both may be scientific in nature. In Ptolemy’s view that the sun and the other planets orbit the earth and Copernicus’ held that the planets, including the earth orbit the sun. Both are scientific theories, since they are grounded in careful celestial observations, and both can predict the positions of the celestial bodies. Ptolemy’s model is more complicated requiring the assumption that the planets at times circled back on themselves as they orbited the earth. Copernicus’s model is simpler. The debate between these two views continued into the middle ages. When, finally, Galileo turned his telescope toward Jupiter and Saturn, and saw that both of these planets had moons orbiting them, this laid a serious blow to the idea that everything in the heavens orbited the earth. Both the earth centered and the sun centered views of our planetary system are scientific theories, but eventually the weight of evidence led to the acceptance of the Copernican theory by reasoned people. There is a difference between how disagreements about beliefs are resolved within religion, and how disagreements are resolved within science. Often disagreements about religious beliefs result in expulsions, sectarian splits, or even violence. 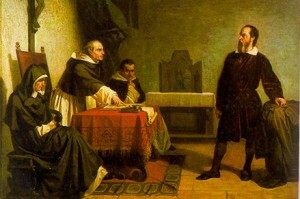 The Inquisition forced Galileo to recant under the threat of excommunication. There are also emotional and contentious disagreements within the scientific community that lead to factions, however, quite often disputes are resolved rather quickly. A recent example is the theory of plate tectonics which relates the movement of continental plates over the surface of the earth. The hypothesis was proposed in 1912 and was roundly ridiculed by almost all geologists. As late as the 1950s, the idea was not widely accepted as true. However, the discovery of mid-ocean ridges in the 1950s provided convincing evidence of sea floor spreading, leading to general acceptance of the theory within ten years. This conversion resulted from compelling evidence, without resorting to coercion or threats of expulsion or violence. Our beliefs direct our actions, and the more confident we are in our beliefs, the more comfortable we are in our actions. Doubt, on the other hand, inhibits our actions and causes anxiety. Our effort to fix belief is driven more by a desire to overcome the anxiety caused by doubt than it is to find truth. Often, when people reach the state of being confident in their belief, they suspend the search for truth; they take a more defensive stand toward their belief. Efforts to fix belief are either grounded in emotional appeals to tradition, authority, and social or familial pressure, or to more objective intellectual appeals to evidence. Emotional appeals can be very effective and require less energy and effort, and in the end may be more compelling than a more objective intellectual approach. At the personal level, the truth of what we believe is not particularly relevant. As long as we are by ourselves, or in community with only those who share all of our beliefs we can be comfortable about our actions, and force anyone who may lose faith out of the community. It is in our associations with others, who don’t share our beliefs, that we need concern ourselves with the notion of truth, if we hope to come to common understanding. In a more integrated world, where we cannot and may not wish to avoid involvement with people holding diverse beliefs, we need to strive for common understanding, peaceably. More objective, evidence-based means of fixing belief are more conducive to this end than are emotionally based appeals. Several years ago, while driving, I happened on to a radio show where the host was interviewing a young boy, who sounded to be about 10 years old. The boy complained that his teacher was teaching him things he didn’t believe. I accept that it is a parent’s prerogative to instill any belief system they choose in their children; still, I think this child’s situation is unfortunate. So, what should parents teach children? I taught mine that there is nothing in the world you have to believe, and that anyone who tries to frighten you into believing something has nothing of value to offer. This entry was posted in The Science-Minded Citizen and tagged acceptance, Aristotle, belief, believe, disagreements, Earth, evidence, faith, Galileo, objective, philosophy, proposition, Pythagoras, religion, science, truth, worldviews. Bookmark the permalink. The point of logical argument is to get a better understanding of what’s true and what isn’t, and the best way to do that is to speak as clearly and precisely as possible, and then, since we rarely do that as well as we’d like, modify and refine your statements during the discussion as needed to clear up any confusion. That can be done with as many different words and constructions as are needed until the meaning of what you’re trying to convey is understood. I like quite a lot your contribution. I would like to propose my views on how to differentiate “religious” from “non-religious”. I would leave aside for the moment the issues of Truth and of Common understanding. Both Supers and Brights live with explicit and/or implicit beliefs. There is therefore no clear-cut difference between the two groups on the belief issue. I would agree with the fact that Super’s beliefs sometimes seems to be incredibly hard to swallow…. from a non-Super’s point of view. But if they still swallow them cheerfully, it must be some logical reason for it, which we need to understand. The fact that people act as if they knew that THERE IS SOME KING OF ORDER IN THE WORLD they live in, reveals the presence of a “belief” which is the kind of belief we all have in common. Of course, the world order is different for the “religious order” and for the “non-religious order”… even if the conclusions sometimes happen to be the same, as you opportunely indicated. The world ORDER we see comes from the sense/meaning we have for this same world. For example, the scientist assumes that there is a natural order in the world (= Belief), and looks for this order. The sense/meaning takes place in the scientist’s brain. Instead, the religious person assumes that there is a God (or several) who chooses what the order of the world is/will be (= Belief). Then, when appropriate, the official experts of the religion will clarify what the God’s order is, and which are the implications for humans. The important issue is that the religious person believes that the sense/meaning of the world takes place OUTSIDE MANKIND. In that sense, religious persons are ALIENATED persons: they do not consider that the meaning/sense of the world takes initially place in a human brain, but in the God’s plans. Of course, we know that the religious sense/meaning IS a human creation, which the religious person consider being created by a non-human entity (= God). This distinction on the origin of the sense/meaning enable us to decide if “Buddhism A” is a religion, and if “Buddhism B” is a philosophy.